Background: Osteoporosis is characterized by the progressive loss of bone density, which leads to severe fractures. 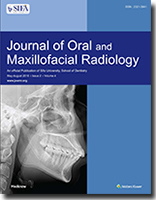 This study conducted to evaluate the diagnostic value of the mandibular radiomorphometric indices of panoramic radiographs to predict the status of bone mineral density (BMD) in postmenopausal women. Materials and Methods: Panoramic radiographs of ninety postmenopausal women (thirty osteoporotic, thirty osteopenic, and thirty controls) with the mean age of 54.47 years were evaluated. Bone densitometry was performed by using the dual-energy X-ray absorptiometry method. Variables such as the mandibular cortical width (MCW), panoramic mandibular index (PMI), gonial angle, mandibular cortical index (MCI), and the number of teeth lost were assessed. Results: The average of MCW in normal, osteopenic, and osteoporotic groups were 4.56, 3.97, and 3.39 mm, respectively. The PMI in normal, osteopenic, and osteoporotic groups was calculated as 0.33, 0.28, and 0.24, respectively. The MCW, PMI, and the number of teeth lost in the three groups showed statistically significant differences (P = 0.0001). 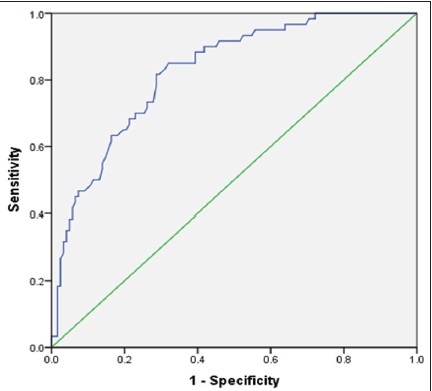 The MCI had a significant difference in the three groups (P = 0.0001). The optimal cutoff points for MCW and PMI to predict low BMD were 4.13 mm and 0.29, respectively. Conclusions: The MCW, PMI, and MCI have a high diagnostic value to predict low BMD. By increasing the age and the postmenopausal duration, MCW and PMI decrease, whereas C3 form of MCI and the number of teeth lost showed increase. About 1 mm decrease in MCW increased the odds of reduced BMD (osteoporosis, osteopenia) up to 3.22-fold. Objectives: To characterize cone-beam computed tomography (CBCT) image quality (IQ) and dose for different fields of view (FOVs), voxel size, and angular rotation. 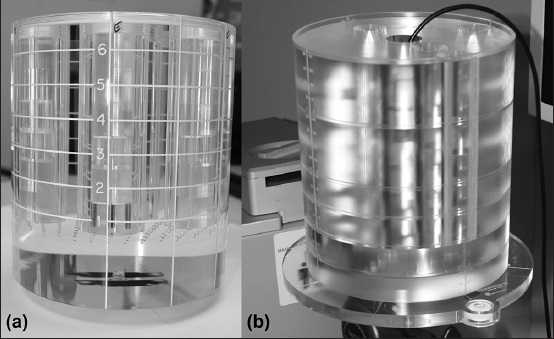 Materials and Methods: IQ parameters, including image noise, homogeneity, geometric distortion, artifacts, contrast resolution and spatial resolution, and radiation dose, were measured for different FOV, voxel size, and angular rotation for an iCAT NG CBCT machine. Results: Noise increased with smaller voxel sizes as measured in the homogeneity layers. The 360° gantry rotation leads to improvements in contrast-to-noise ratio and spatial resolution and a decrease in artifacts compare to 180° gantry rotation with the same voxel size and FOV. Dose reduction was not always observed with smaller FOVs if smaller voxel sizes and longer scan times are used. Some of the test objects included in the phantom are not useful for dental CBCT machines, such as the range of resolutions tested by the bar pattern insert and the suitability of the materials used for the contrast assessment layer. Conclusions: A reduction in the patient dose can be achieved by reducing the angular rotation to 180°, increasing the acquired voxel size or decreasing the FOV height. However, using the reduced rotation angle also leads to increased artifacts around metallic objects. Changing the voxel size did not necessarily lead to improved spatial resolution or reduced dose, as some of the voxel sizes on this machine have identical imaging parameters. During routine panoramic radiographic examinations, a series of incidental findings may be observed in maxillary sinuses. One of these findings may be exostoses which are the outgrowths of compact and cancellous bone. In this case report, we represent two cases of exostosis of the maxillary sinus evaluated using cone-beam computed tomography. Although antral exostoses have no clinical importance, except if they cause obstruction of sinus ostium, their differential diagnosis must be achieved from other pathologies with similar radiographic properties such as anthroliths and osteomas.